The flavor is a little sweet and a very little bit spicy. The burger firms up nicely in the microwave, not falling apart like others. A pet peeve I have with most veggie burgers is they’re generally on the thin side and are overwhelmed somewhat by a bun. Putting two burgers on a bun produces a better ratio. But I wish they’d make a single burger a little thicker/heavier so we don’t have to double up. This seems to be another special item that’s only around a week. I don’t know when it will grace the freezer cases again. 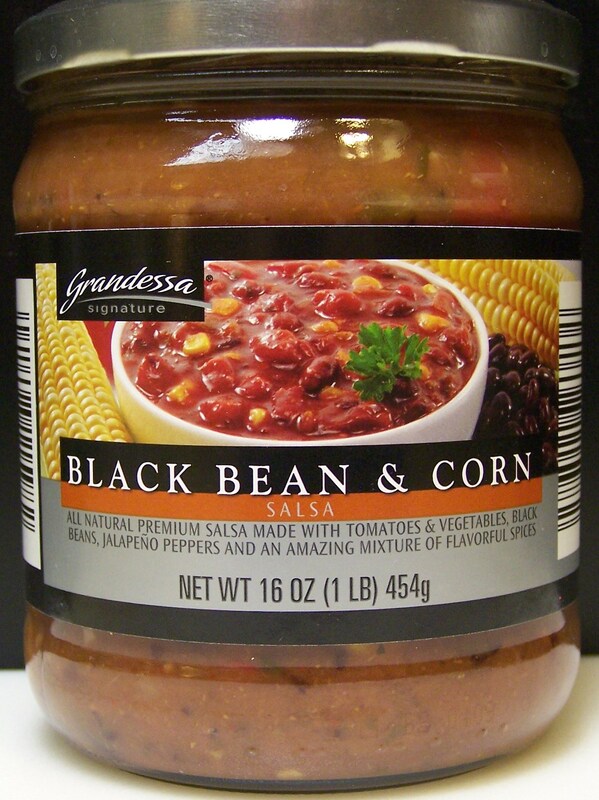 The product is labeled vegan and the ingredient label (not shown here) tends to agree with that designation. 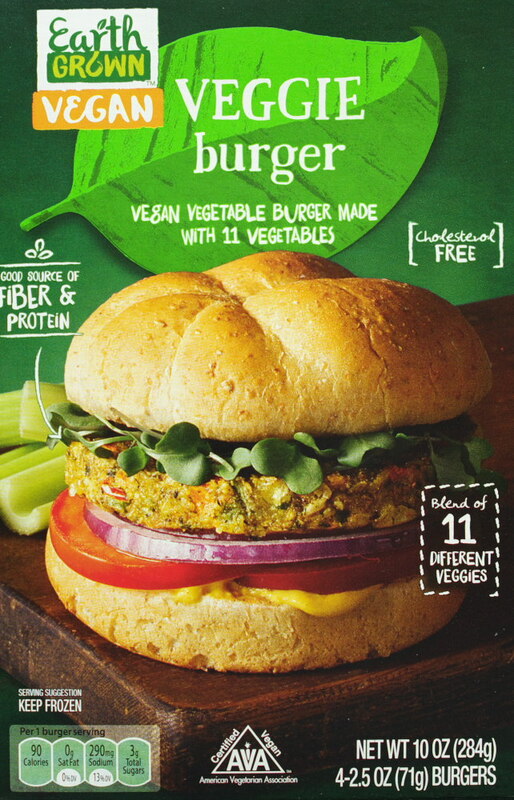 At $3.69 per box, this is priced higher than the regular vegan veggie burger at $2.49. Using oil to pan-fry, the patty stays together nicely. Scrapping away some of the breading the underlying patty sort of looks like chicken. Cooked; the breading is crisp, the mouth-feel is nice, the patty doesn’t fall apart. The patty almost has the firmness of a thin real chicken patty. Not surprisingly, the patty does not taste like chicken. In fact there’s an interesting hint of fried okra. Even with the slight taste of fried okra, the patty is perfectly edible as is without condiments. With some lettuce, tomato, and mayo (not vegan), the taste is even better, but that fried vegetable taste still comes through some. Substituting some aggressive guacamole for the mayo also worked well. The product is labeled vegan. 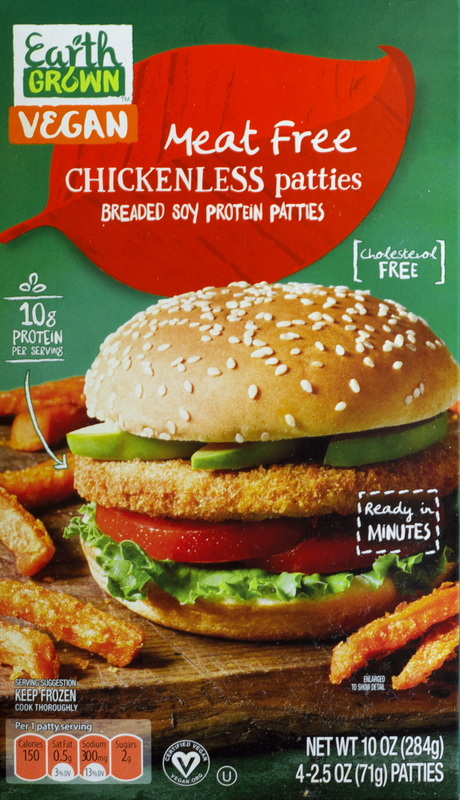 For non-vegetarians, this soy protein based patty is an acceptable substitute for the real thing. Unfortunately this seems to be one of those ALDI special items which are only around for a week or two. But like most ALDI special items this one will probably make its way back to the freezer cases sometime in the future. The box says, ‘with 11 vegetables’. How do they fit them all in a 4 inch diameter circle? One good thing, you can actually see the little veggies in the circle. Being that the veggies are of a size that makes them visible, the burgers tend to fall apart if handled too much while cooking. Like many veggie burgers, the flavor of these is on the bland side. I saw the word chipotle through the glass freezer case, but somehow when I got home they had changed to just plain veggie burgers. I’ll look twice the next time. Along with the bland flavor, these tend to dry out while cooking in the microwave. Both problems can be overcome with the use of condiments. For my purposes I topped with a spoonful or two of pickle relish which added a little flavor pop and also some needed moisture. Problems solved. 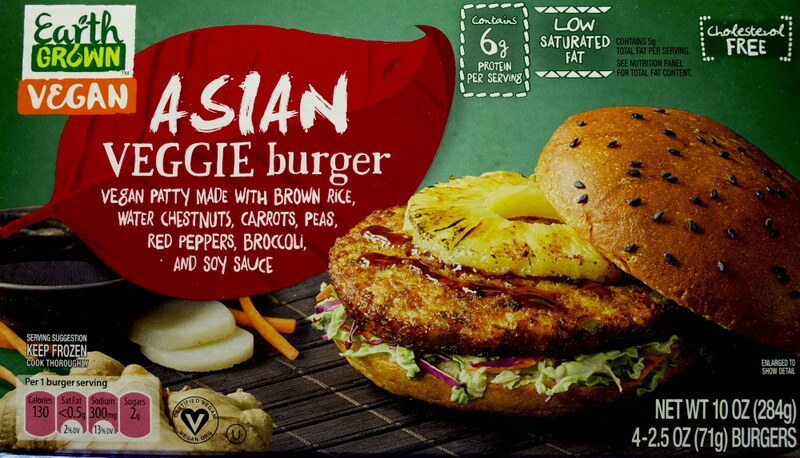 While comparable to other veggie burgers on the market in texture and taste, these are also labeled ‘certified vegan’. What’s also nice is they’re in the ALDI freezer case, meaning you won’t have to go elsewhere looking for a vegan veggie burger. Now the potential downside is, I don’t know if these are a special item which will soon disappear or whether they’ll be a regular item in the freezer case. Normally I limit my food reviews to ALDI and Trader Joe’s products which have a national presence as opposed to many supermarket chains which are more regional in nature. However I’ve recently discovered these in the “plant-based protein” freezer at Target and was impressed with them. So here’s a review. If there’s a Target near you with a grocery section, you might want to check these out. As noted above, I like these. Unlike many frozen burrito products which seem to lack texture and flavor, these have both. There are several types of Sweet Earth burritos which vary slightly by ingredients and spices. 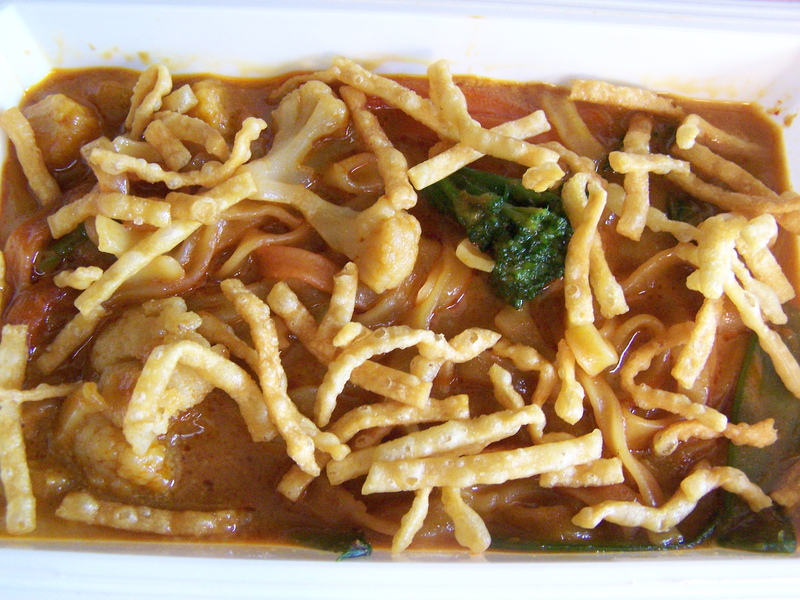 All are reasonably good, but this one stands out because it is the most flavorful and has a bit of a kick to it. Those are two things I like. 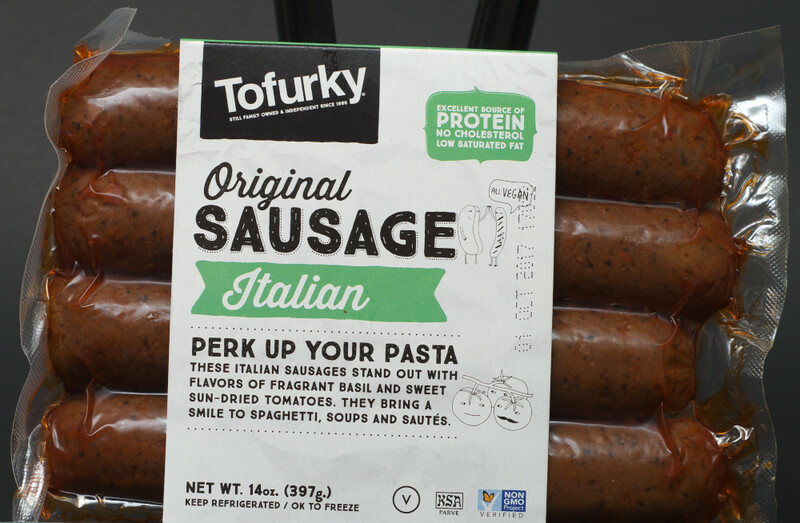 The product is labeled as vegan and “Non GMO Project Verified.” As a meat substitute it has 19g of protein – not bad. Most likely due to being wrapped in a flour tortilla, carbohydrates are moderately high at 45g. It’s surprisingly filling and long-lasting at only 320 calories each. It’s not Italian sausage. BUT, for a meatless meat (yes it’s labeled vegan), it has the texture, if not exactly the taste, of a meat. The texture is the biggest problem with many meatless meats. They, or we, can always work on how it tastes. In its own right, it’s fairly good tasting, but on the bland side. 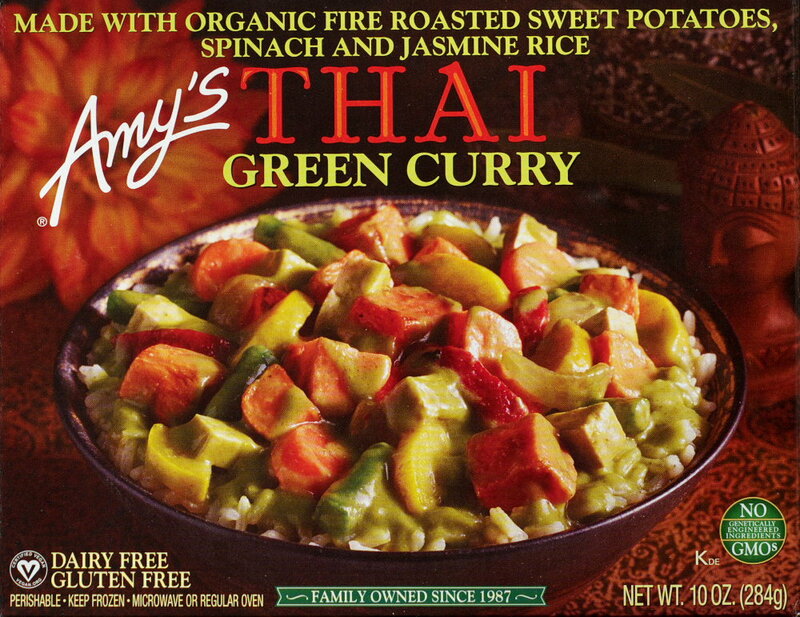 A gob of sticky rice, a mess, a few green things and a tasty sauce describes this microwave boxed meal. Trader Joe needs to go back to the drawing board on this one. 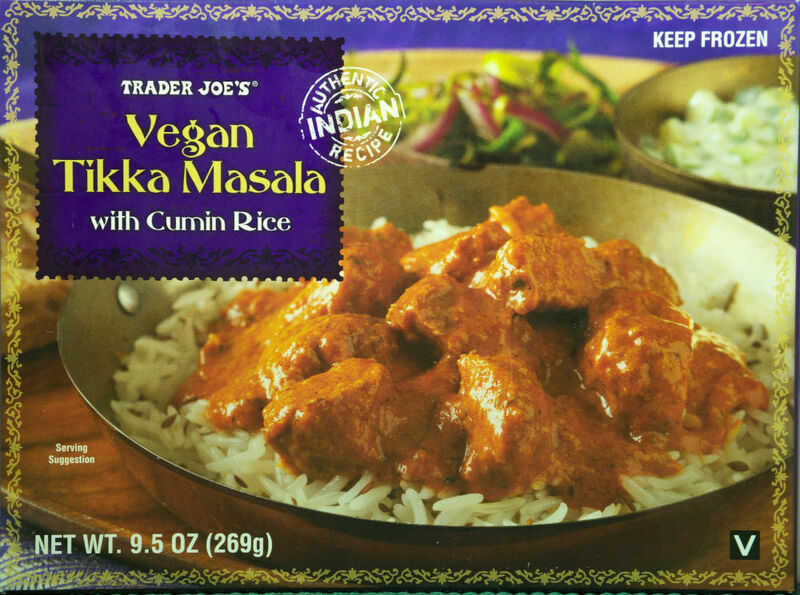 This is another fine Indian-style frozen entrée from Trader Joe’s. At $3.49 it’s a little on the pricey side when compared with other frozen entrées, but not pricey when compared with going out for lunch. It must be Super Bowl time. 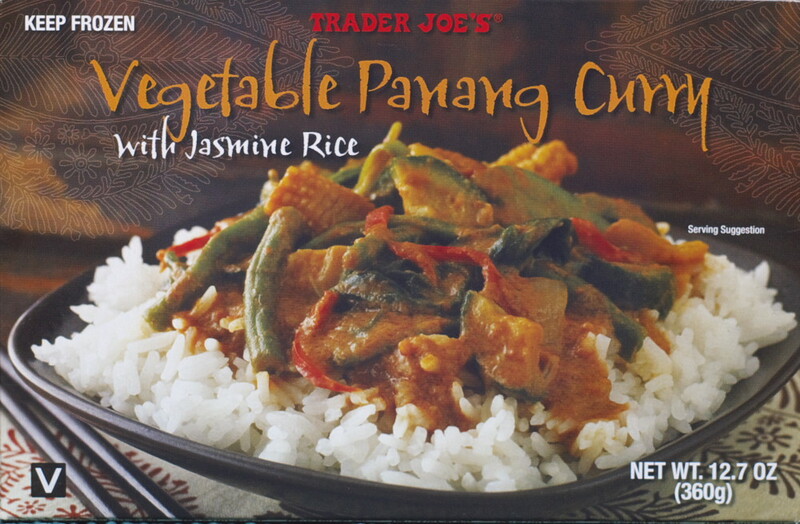 If I had a list of favorite Trader Joe’s Asian foods, this would be in the top 3.